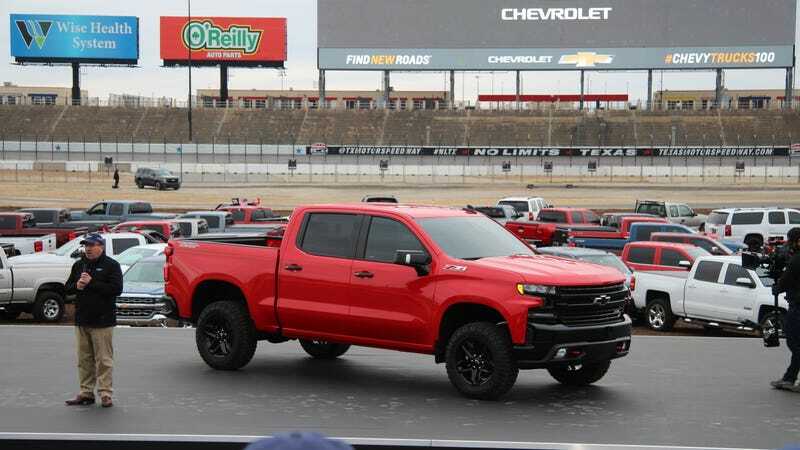 Today at a press event hosted at the Texas Motor Speedway for Chevy Truck’s 100th anniversary, Chevy surprised attendees by flying in the 2019 Chevrolet Silverado by helicopter and lowering it onto the stage. 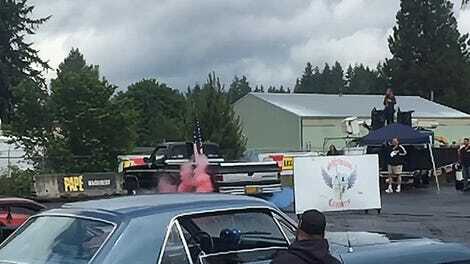 Our own Bradley Brownell was in the crowd and managed to get a few pics of the newest Silverado generation. The 2019 will be sleeker and look more aerodynamic than previous generations of Silverado. The model shown was a Silverado LT Trail Boss which hints at a new trim level. Sources from Automotive News and GM Authority state that this trim adds everything from the Z71 and a two-inch lift with all the parts backed and tested by Chevy. The bed of the 2019 model will also be lighter and “more functional” and will be of a higher quality steel than previous models. We don’t have all the info now but we will update this post as we get it. Chevrolet stated that they will give full details including specs about the newest generation at the 2018 North American International Auto Show.